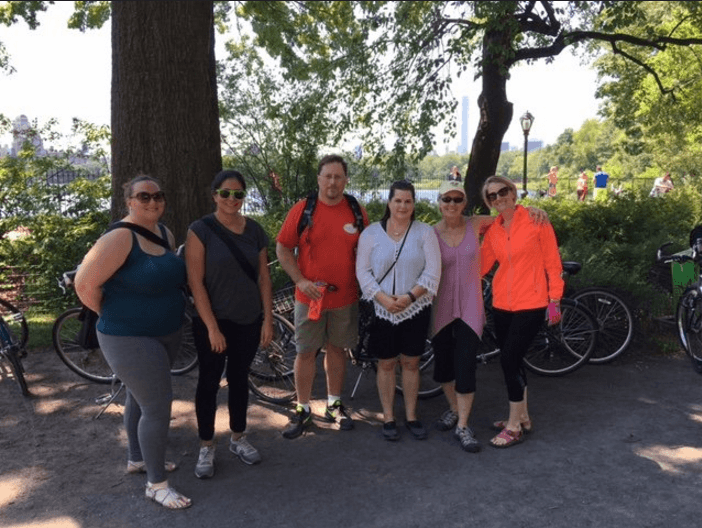 I scheduled a private bike tour of central park with Central Park Bikes. They were very friendly and had an opening that worked with our schedule. I did have trouble contacting them by phone, but eventually they answered. Tony was a wonderful guide and was very knowledgeable about the history and the area. The ride was about 6.5 miles and has a few hills, but we didn't have any trouble with the physical exertion. Tony was very patient at stops for picture taking and watched our bikes and belongings when we stepped away to see some sights. The bikes are well maintained and the seats are comfortable. 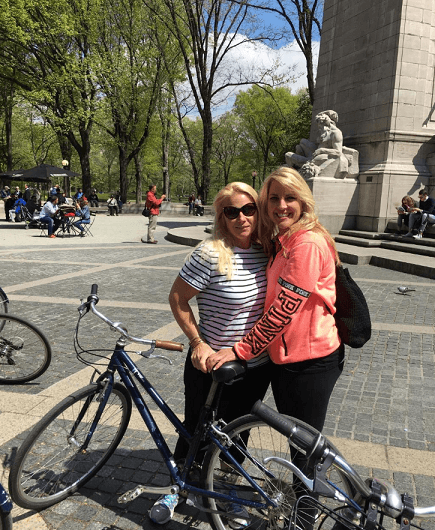 I would highly recommend Central Park Bikes and especially Tony for a bike tour. This tour is the best way to see Central Park! Riding a bike is fun and easy way to get around and the tour guide is knowledgeable and fun. Found Central Bike Tours on Trip Advisor. Liked their location (virtually beside Central Park), liked their website (they were the only bike company I saw that had a map of Central Park), and liked the fact that I could get a discount by paying online in advance (biketourscentralpark.com). My family took the 2 Hour VIP Tour of Central Park, which I liked because it was a private tour, and we could take our time with our young children, go at our own pace, and stop to take pictures when we wanted to. We met our guide Sergio in front of the Argo Tea Cafe at 1792 Broadway, just a block or so away from Columbus Circle. What a great experience we had. We met our tour guide Tony. He was Fantastic. Very friendly, people person. very knowledgeable of everything. We learned a lot about the city and the park and people. We made several stops along the way to take in the sites and take pictures. Fun, Active & Informative. Approximately six miles round the park. The park's hilly terrain can be a bit much but the bikes had speeds so making it up hills was decent enough. Going down was a bunch of fun especially the last hill! We made three different stops, Bethesda Fountain, the resevoir, then on to Strawberry Fields. Able to linger around all three. Even had ourselves an ice cream since vendors are at every stop. The tour guide Tony was filled with interesting facts. Really great way to see the park for natives and tourists alike. Had a great time. So much better than a group tour, we had a guide to ourselves as a family of 5 and it was well worth the additional cost. Teenage children thought it was the best afternoon they spent in NY. Great guide, knowledgable and helpful. Including taking our family photos for us! Thanks for a simple booking process, friendly and great fun. It was wonderful, very informative and very entertaining. All the things we read about online we saw and stopped at. It was great! Just what we wanted. A very relaxed trip, communication over email which is wifi friendly. The bikes were in all sizes, with basket for your bag and drinks ( it was very hot). Tony, our guide told us everything we needed to know about the Park. Many movie locations we would have never found. Every question was answered.There was no rush, we even walked a little and we had enough time to enjoy the views. We could not have done it better ourselves, but like this the easy way. Thank you Tony! Tony was an excellent guide. Very knowledgable and friendly. Had answers to all our questions and willing to stop to take pictures anytime.